Bank Holidays are Happy Days! 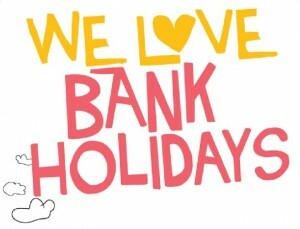 If you are going away this Bank Holiday, be more efficient with your home energy whilst you are way. Our tips will help you relax that little bit more. Unplug any unused electrical equipment: when you’re in a rush, you may forget to turn everything off before you set off for your bank holiday. Have a sweep of the house before locking up; after all you wouldn’t want to leave a pair of curling irons on! Layer up: If it does end up raining cats and dogs, don’t be tempted to turn the heating on early. Simply throw on an extra layer and you be ready for all temps high or low! Consider turning off the water to avoid any potential flooding whilst you are away. & don’t forget about the car! Give it a quick once over for service checks and type pressure, which will make your journey not only safer but more fuel efficient. If you are traveling at low speed, opening the windows is more efficient to stay cool than the air conditioning. However if travelling at 60 miles per hour or above, closing the windows and using the air con will save you more. Having Roof/Rack boxes to your car when they’re not being used will increase drag and increase your fuel costs. If you aren’t going away this Bank Holiday weekend, don’t spend the weekend indoors. There are plenty of inexpensive Energy Efficient things to do even if it the heavens to open up. Check our Green City Exploring Tips if you are running out of ideas.